There is a lot of debate about self – censorship and media freedom in Europe and it is especially interesting to explore this issue in the capital of the EU, Brussels. Most of the EU Institutions as well as the European Parliament are situated there and many journalists from different European countries are working within the institutions so it is important to see how that fact affects their journalistic content. 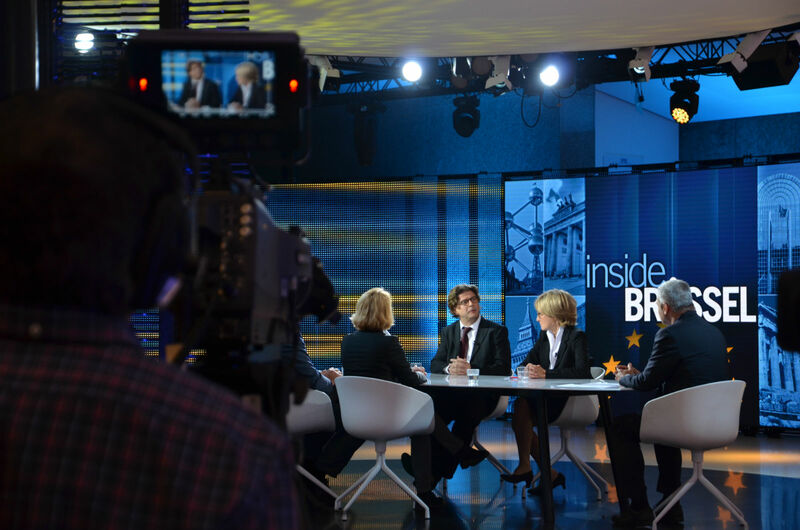 In the European Parliament, there is Audiovisual Unit, which supports journalists covering parliamentary activities. According to the European Parliament official website it provides photos, videos or podcasts. Also, journalists have opportunity to use technical facilities for video, radio and photo production. 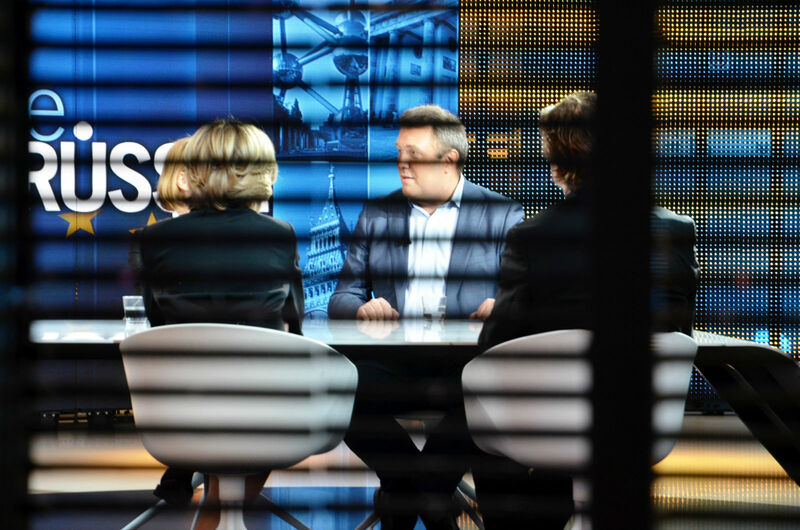 Although we may think that self – censorship exists among journalists, especially the ones working in the European Parliament and therefore using the facilities of the Parliament after couple of interviews with the journalists who are directly connected with it, the assumption of that has slightly changed. According to Ryborg, there is a similar situation in the Danish parliament. Approximately 180 journalists are working in the same building next door to the politicians but that doesn’t mean that it interferes with their work. Another interesting insight came from Thomas Mayer. He is an Austrian journalist who is a senior editor of Europe and NATO, Der Standard, Brussels and is based in Brussels for the past eight years. He is a journalist that is working independently from European Parliament but sometimes he uses the facilities of the Parliament. When that is the case he doesn’t feel influenced by that fact as he says he is not interested in who is running the facilities. He says: “I cannot imagine that there is any journalist that is influenced by the fact that there is a press centre that is paid by the Parliament, this is just the facility. It’s like when you are covering football match you have press centre but you don’t think who paid for the screen.” He has never experienced moral dilemmas in his journalistic career and self – censorship in that sense. He feels completely free to express himself and even when he is using the facilities of the Parliament he doesn’t feel biased when speaking about the EU for example. It is interesting to notice that perspectives from the journalists working within the EU about self – censorship differ from the one of people who are also working in the media within the EU but in business development sector. Filip Lugovic is a director of business development for the EU Observer, an independent online newspaper that reflects on the EU. He thinks how because of the advertisers, journalists are always having dilemmas whether to publish something or not. “The pressure is consistently there, because they all depend on advertising money – 70-75 % towards Google, Facebook etc.” He thinks the best solution for that problem would be funding by donations but since as opposed to the US where that is a common practice in Europe there is no tradition of that so we still cannot have free press. In his opinion as most of the publications live on advertising they are making compromises when publishing something therefore journalists are self – censoring themselves in the way. It is positive to see that journalists that are collaborating with the European Parliament don’t feel pressure and feel free to criticise members of Parliament. Considering other publications funding by donations as Lugovic explained is definitely one of the solutions.